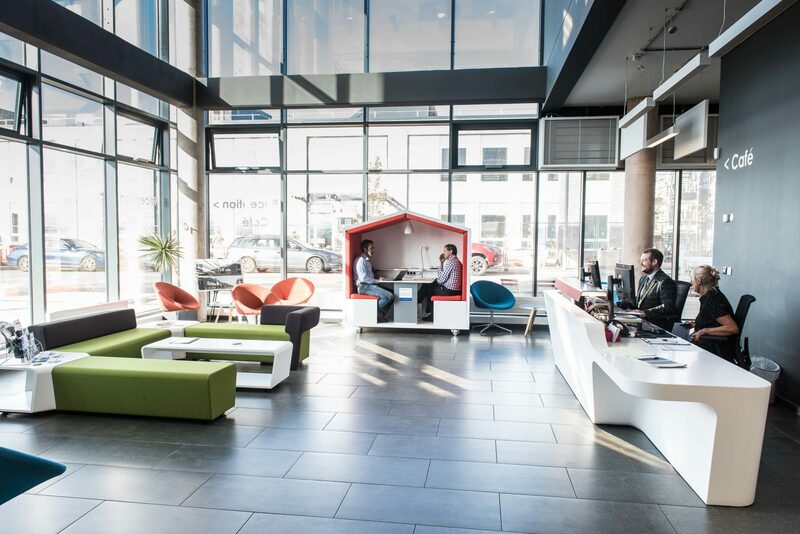 We offer businesses the space to grow and to realise their business ambitions - from hot-desks to office space to bespoke buildings. 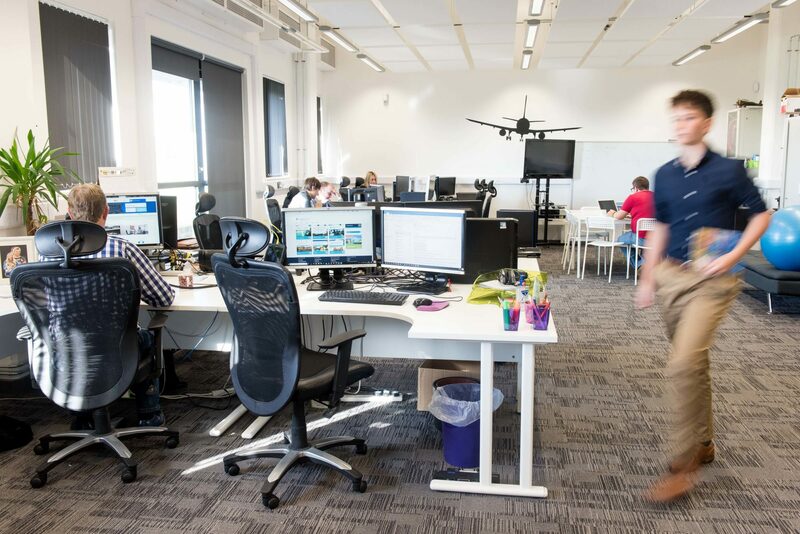 Exeter Science Park’s flexible accommodation, with centralised reception and meeting rooms, gives you the best possible grounding, while our hot desks, incubation space and support services, help start-up and fledgling businesses grow. Our mission is to facilitate extraordinary growth for the fast-growing STEMM businesses and, as Exeter Science Park looks to the future, we’re planning to get even bigger. With the development of our Grow-on Buildings and the Open Innovation Building, more than 700 people will be working at The Park by 2020. By 2035, Exeter Science Park will be home to more than 3,500 people working for companies with a combined turnover greater than £350 million. The masterplan is for six, campus style clusters of buildings at junction 29 of the M5 which connects with the A30 trunk road. Outline planning permission is already in place for a 822,000 sq ft development, where R&D, office and industrial space for tenants will be built alongside conference, hotel and retail facilities, as well as a café, crèche and health and fitness space. Exeter Science Park has ambitious plans for growth and an experienced team dedicated to delivering this vision. The Centre Cluster is at the heart of the park and is the most developed cluster. Eagle House (1) was completed in 2013 and the first phase of the Science Park Centre (6) was completed in 2015. Three Grow-on Buildings (2, 3a and 3b) were completed in November 2018 and are named after scientists Hedy Lamarr, Sir Isaac Newton and Alan Turing. We are actively working to complete the Central Cluster with a hotel (4), phase 2 of the Science Park Centre (7) and further Grow-on Space (5). This is the second cluster under development and is home to the Met Office’s High Performance Computer and Collaboration Building (11). The Collaboration Building hosts the Environmental Futures & Big Data Impact Lab which is part-funded by the European Regional Development Fund and provides funded support to business to take advantage of artificial intelligence and big data. Exeter Science Park is currently designing and developing a new Open Innovation Building (12) which we are planning to complete in the third quarter of 2020. Located within a stones throw of the Met Office, this cluster has been designed to work with the topography of the land and presents an attractive proposition to companies seeking a more sheltered position within the park. With outline planning consent for 62,215 ft² (5,780 m²) and the infrastructure in place, this fully services plot is ready to be transformed. This serviced plot is the perfect destination if seeking to achieve maximum exposure. Positioned immediately adjacent to the Science Park country park, this is the most prominent cluster, clearly visible to commuters travelling the A30 and M5 northbound. With an elevated position, and a southwardly aspect, this site benefits from outstanding views across Exeter towards the estuary. This fully serviced plot is the largest within the park offering 166,292 ft² (15449 m²) of development opportunities. With outline planning consent and critical infrastructure in place, this cluster is ready to be transformed. The University of Exeter is developing a new Engineering Building (8) to house a state-of-the-art VSimulator and host the University’s Vibration Engineering Section, global experts in vibration serviceability, dynamic analysis, testing and monitoring of large scale civil engineering structures including bridges, buildings, lighthouses and grandstands. This serviced plot is the second largest within the park providing 152,643 ft² (14,181 m²) of development opportunities. With outline planning consent and the critical infrastructure in place, this cluster is ready to be transformed. 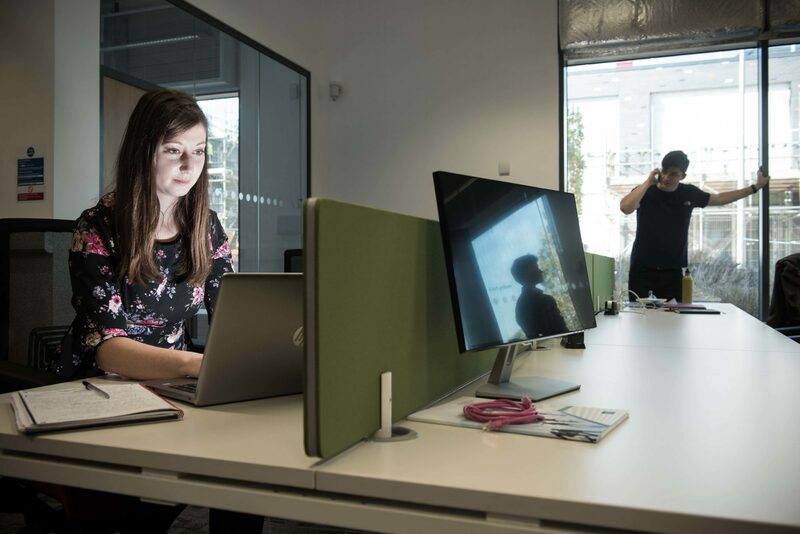 The hot-desking space in the Science Park Centre has been designed specifically for tech start-ups, entrepreneurs and fast-growth businesses who want to be part of the Science Park community without the commitment of full-time office space. Our coworking space provides a space to work, network and collaborate, allowing you to build partnerships with other entrepreneurs and Science Park tenants. The bright space has everything you might need, including access to desks, Wi-Fi and charging points, as well as three small meeting rooms to take private calls or hold meetings with your team. Hot-desk members also have access to the Science Park Centre café, as well as the bookable meeting rooms. Exeter Science Park offers a range of flexible premises solutions, from virtual services or coworking spaces, to offices and laboratories, ranging from 200 to 8,500 square feet. 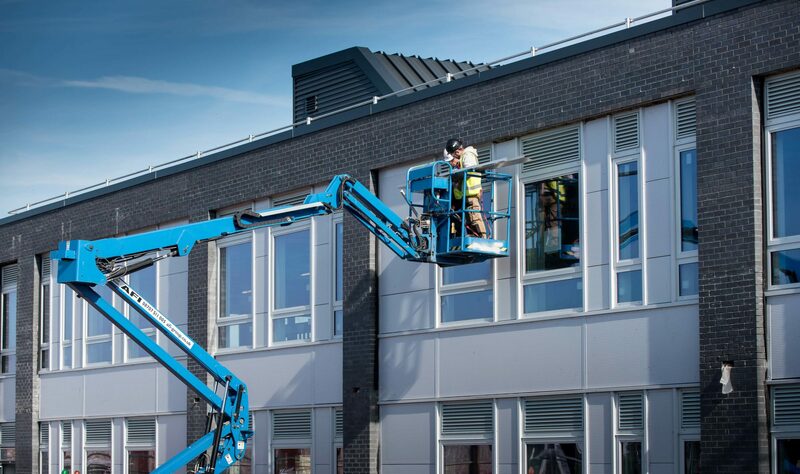 Throughout all the buildings on-site there is resilient internet connectivity and Wi-Fi is available in all common areas of the buildings, including the café and conference suite. Tenants are permitted 24/7 secure access with individually alarmed offices and laboratories. Exeter Science Park Centre reception is manned between 08:30 to 17:30 (excluding weekends and Bank Holidays). Access to the site is via a secure barrier system and tenant car parking operates a number plate recognition system. Free parking is also available for visitors to the site. Tenants can also access park pool cars and electric vehicle charging points. The Exeter Science Park campus has a range of buildings, with more space in various stages of development. We offer flexible, high-quality accommodation. Copyright © 2019 Exeter Science Park, all rights reserved.